Being a Father is such a hard job? Because everyone around him will always have their thoughts or perception of what a Father should be. 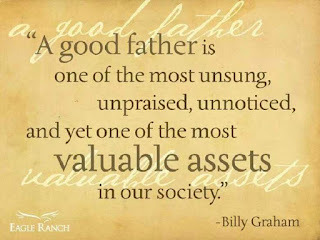 Most Fathers are judged or scrutinized but hardly ever praised. What's funny about this last sentence is that those who often judge Fathers aren't Fathers or even capable of even being Fathers themselves. They only draw their conclusions on what a real Father should be, based off unrealistic, expectation's, dreams or fantasies and what they view or see in public or on their television stations. What most people don't realize is that no Father can be or ever will be perfect and even if its a small or large part each Father plays an very important role in being a Father. That's why in my opinion God created step Fathers, strong Mothers, adoptive parents and strong Father's so that they could step in then be the Father, that some men couldn't, wouldn't or able be to their own children. Most people would ask, Why aren't all men who help create children, be real Fathers to their own children or why would they allow another man or men to be Fathers to their children when they can simply be a real Father to their child or children? To answer these or other questions on the behalf of all these Fathers I would simply say, no one know the heart, mind, thoughts or feelings of these Fathers and no one would begin to understand or comprehend their circumstances. That's because people only see or view what they want to see and understand only their own thoughts or opinions. If they could see how that particular man feels or what he is going through, then they too would understand why some, not all men aren't real Fathers to their children. In most cases the men that aren't real Fathers to their children isn't because they don't want to be, its because they aren't able or capable of being the Father that child or children needs him to be. That's why God created step Fathers, very strong determine women, adoptive parents with very good or strong hearts. Last but not least, men that are able to create then be real Fathers and an example of what a true Father should be. What every role you Fathers play know that God himself has ordered your steps. He has stepped in and done what you couldn't or wouldn't do on your behalf. For the children, grown men or women with questions, know this even if your real Father hasn't really been in your life, you shall forever remain and be loved deep down in his heart. 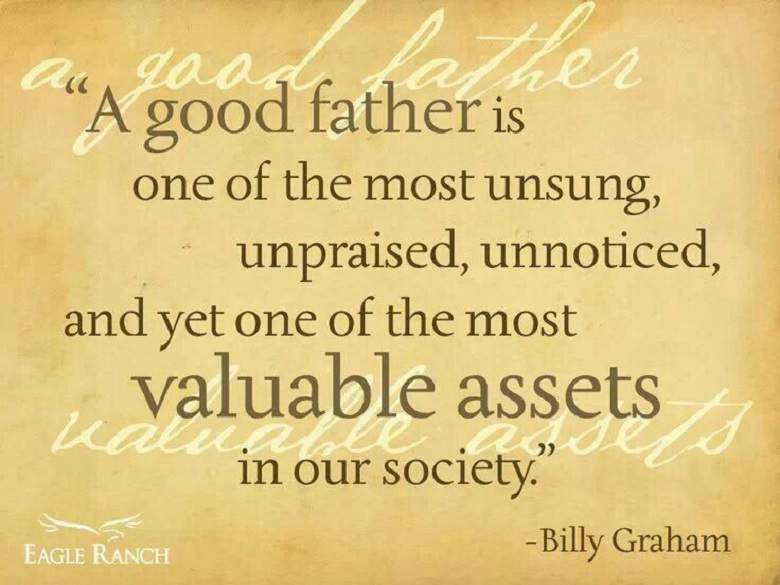 Today is Fathers Day, where we love those who took on the roles as our Fathers, for those who are no longer with us and even those who only played a small part in our lives. Happy Fathers Day! Write in then express your thoughts or views on the subject.